According to Form 590, the IRS has allowed certain forms of precious metals to be invested in IRA’s or other Qualified plans such as Simple IRA’s and solo 401k’s. It has become widely known that Gold, Silver and other precious metals (Platinum & Palladium) can be an excellent investment today, due to the decline of the US Dollar and the massive federal debt. By Self-Directing your IRA or 401(k) investments into precious metals, your profits are tax-deferred back into your retirement account. Precious metals are the original currency of early civilizations and therefore a store of value, literally for thousands of years. The purchase of Bullion is a surprisingly safe investment and has always had value. Financial professionals across the globe all agree that asset diversification is the key to success. To reduce the risks of investing, they suggest the purchase of precious metals to diversify investments among different securities or asset classes. Now you can hold precious metals in your individual retirement account. With a self-directed IRA or Solo 401(k) Plan from The Truman Company, you can invest in all types of precious metals, including gold, silver, platinum and palladium. Expertise. In today’s volatile and complex market place, you need a sound and experienced guide to make sure you are getting the best value for your hard earned money. Our seasoned staff has a combined experience of over 100 years in the financial industry. Your Money Grows Tax Free. By buying Gold and silver in a Truman Company Self-Directed IRA or Solo 401(k) Plan, you can avoid all taxes until the money invested is withdrawn. Equally important, having access in time of crisis or national emergency is in the forefront of many people’s minds these days; we will help you ease that concern with a sound strategy that’s consistent with IRS requirements. The Flexibility to trade without tax consequences. The Truman Company’s Self-Directed IRA’s and Solo 401(k) Plans offers the participant the ability to trade without concerns of any taxable event. When markets changes, you won’t have to be concerned with capital gains issues. This gives you, the investor, and the freedom to invest in the precious metals of your choice. Online Reporting. When you open your account, you may elect a free option to access your account values online. 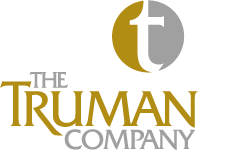 Additionally, The Truman Company has the ability to monitor your positions to help guide you to reach your investment goals. © 2017 Truman & Co.